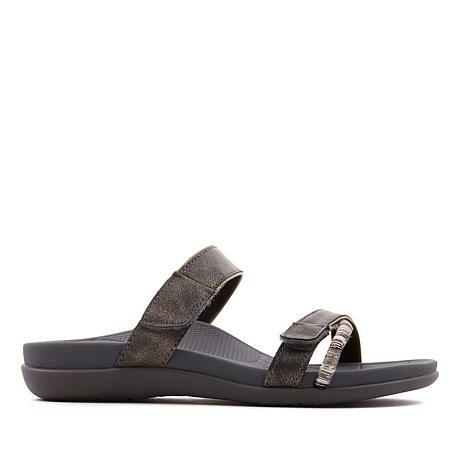 The Kori is an upgraded sandal style with a Boho-inspired look and fully adjustable design. With superior comfort features like a water-friendly construction and 'Healthy 3' orthodic design, this summer style is perfect for long walks on the beach. 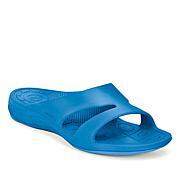 I have custom orthotics but in the summer I love sandals. I've used other brands but they weren't as fashion-forward as this one. I love these sandals! For comfort I took the adjustable front strap and put it under the decorative strap. With my narrow foot I could tighten it well and still have the fashion from this style. I love it! Shoes are very comfy. Really can feel the support in the arch. The insoles in these are so soft and cushy. 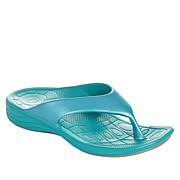 These are slip on and very cute on. I do not have trouble keeping these on my feet as with some slip ons. I have a narrow medium foot and these fit great. The threaded strap adds pizazz. Very cute style. Wish they were a bit less expensive so I could purchase more styles. I love these sandals. The do not look like most ortho sandals. The arch support is great.